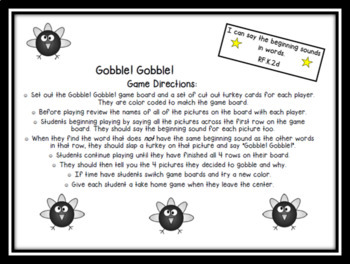 Use this cute turkey game to help your students practice isolating beginning sounds. 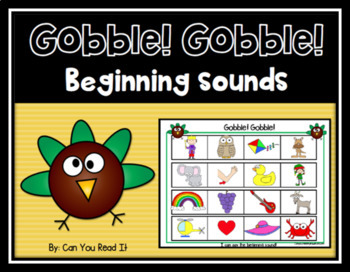 Students need to put a turkey card on the sound that does not belong in each row and have the turkey gobble it up! There are 6 different color coded game boards to play. There is a parent take home game included to continue practice at home. There are also printables included that can be used as exit slips, follow up seatwork, or even assessments. 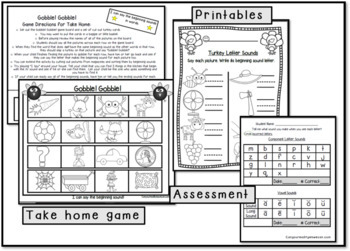 There is also a letter sound assessment tool included too! 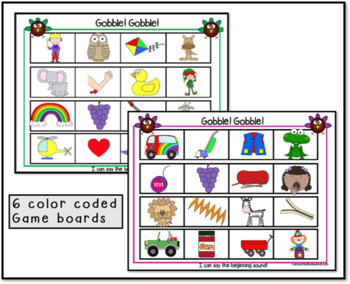 This game is perfect for literacy centers, intervention and daily 5. Great game to play at a Thanksgiving party too!